Hi guys, how are you doing beautiful people? I am super excited as I write this post from this hotel room in Vizag, and before I have to rush off for work I want to be over with this post. 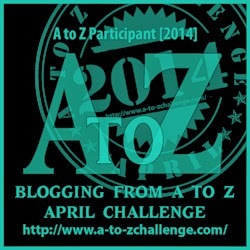 So finally I have thought of taking up this A to Z blogging challenge. It’s going to be my first time and I am very excited about it. Now what would be my theme for the challenge?? Little tricky to have things with A to Z under same group!! So I’m on this ambitious plan of doing what I have not done so far. Write all about indulgence. So the theme is Indulgent Food. You will have loads of dessert recipes, with some mains and entres but for a month forget calories or salad, let’s indulge and celebrate food. And here goes the A to Z. Okay some are little difficult to name so that’s why named so! I am keeping this post really short cause I have to rush off for work and then catch my flight. One more thing, I am participating in the challenge from my literary blog as well. Visit The Sunny Side of Life and show some love. C ya. Hope to read lot of themes today from the airport. 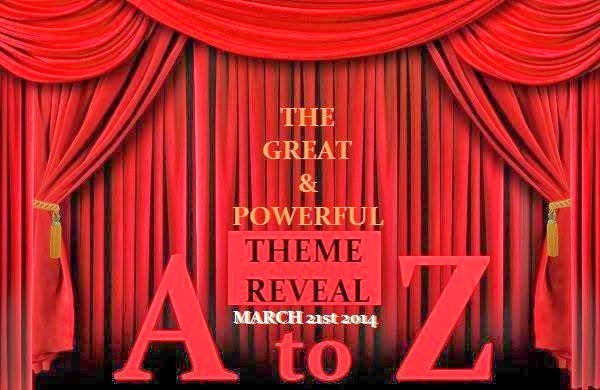 If you have stil not signed up for the theme reveal visit Vidya Sury’s blog and sign up now. P.S. Okay, So I have added the links of the recipes in this post for your ease. And hey its 2016 and I am participating yet again! Tried looking at your post, your floating social bar is blocking text, making it difficult to read. It covered all the letters as I scrolled down of the alphabet. Yummy! What a wonderful indulgent theme. I can't wait for some of the recipes. Hey Thanks Rhonda, I am equally excited about it.